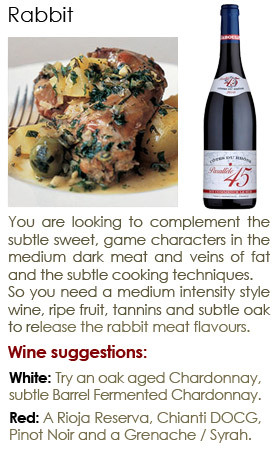 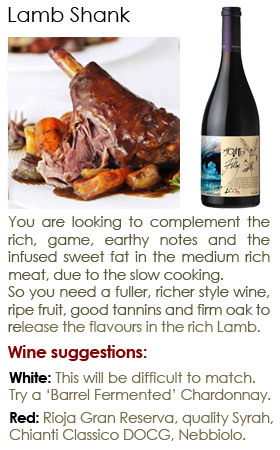 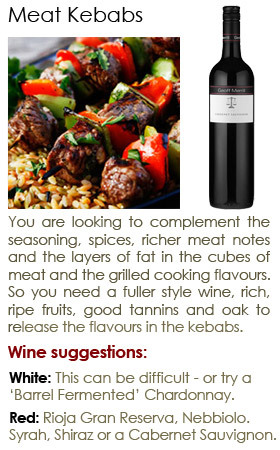 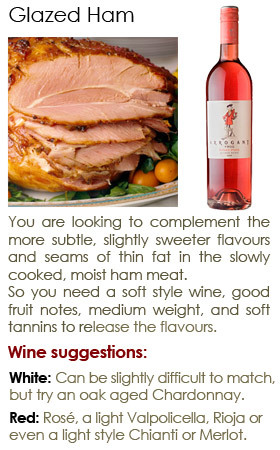 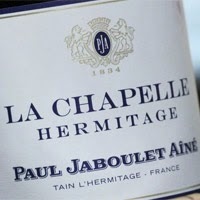 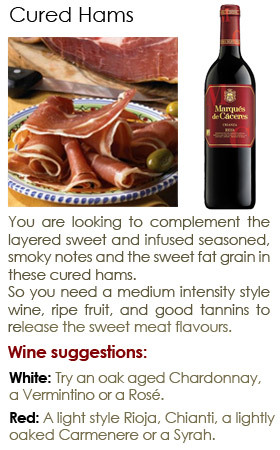 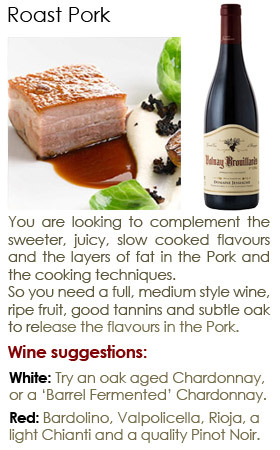 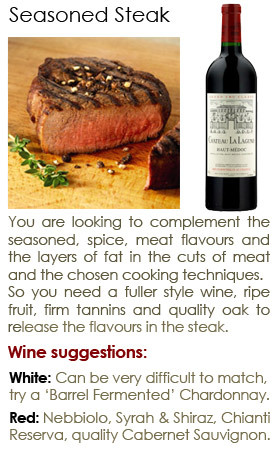 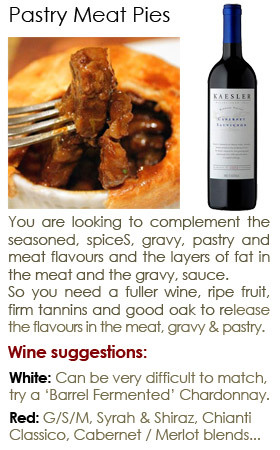 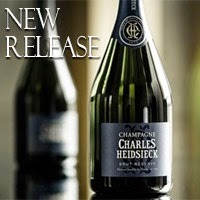 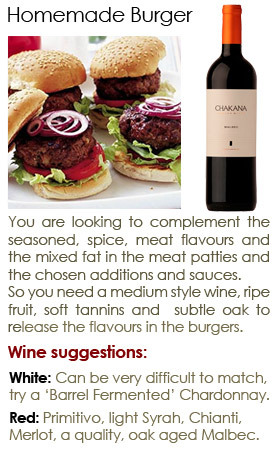 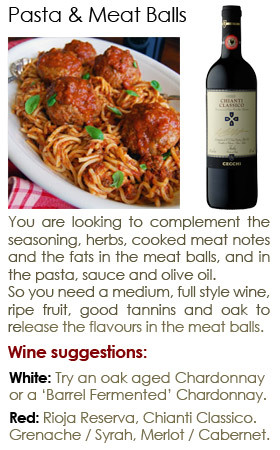 When matching food and wine - simply think of matching the strength of flavours and weight of the dish with the wine. 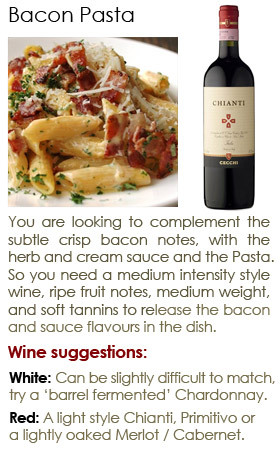 Wine and food are meant for each other; each enhances and strengthens the experience of the whole, they bring out the best in each other. 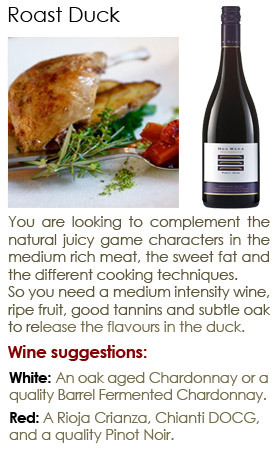 Consider whether a dish is ‘light’ or 'heavy' in nature - in general, look to pair a light-bodied wine to go with a light dish, a medium-bodied wine to match a fuller dish, and a full-bodied wine to go with a heavy dish. 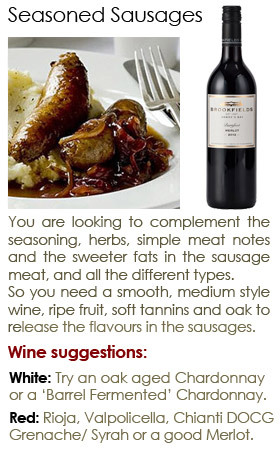 For the following examples - try to focus on the flavours in each different meat dish, the same way you think about the flavours in wine - as families of flavours. 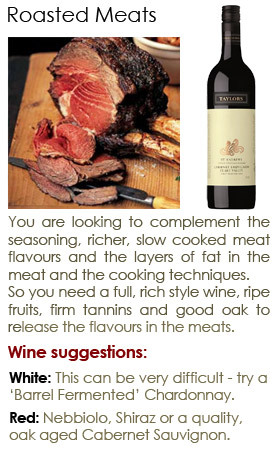 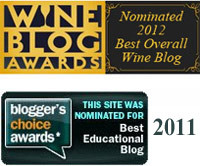 The following wine and meat suggestions - are just that, suggestions and starting points - as there are so many different wines in the world - there are so many varied ways to cut, cure, season, cook and serve meat cuisine.